I remember as a child all the rules imposed upon me. Bedtimes, clean your plate, mind your manners, don't hit your brother, rest after lunch, don't swim with a full stomach, don't swim alone, do your homework, make your bed...on and on---life was filled with do's and don't's. 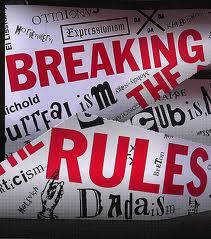 My occasional -well perhaps frequent---bending and out right breaking of the rules lead to swift reprisal. Momma did not tolerate breaking the rules! Turn around and I am grown and have my own family to raise. The rules began appearing about the time they were two. Anyone who has ever dealt with a willful two year old understands the necessity of rules. 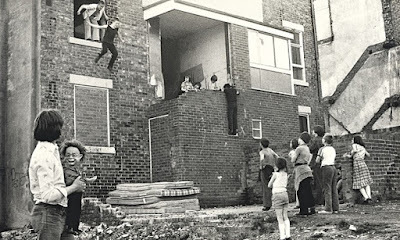 And as the children got older---the rule list grew---for they seemed to find more dangerous things to get involved in. Finally as a parent, I realized the rules were mostly to protect the children and not some random list created to stifle all fun activities. Rules do not go away when we become adults--we are surrounded by rules and laws. Rules of good etiquette, rules for ethical business practices, laws for traffic--laws for fair play--laws for taxes--laws for almost every interaction between parties. Fortunately---the rules and most of the laws were not created to stifle us or restrict our freedoms---but instead are for the well being of society. They are not punishment--but instead protection. I began thinking about this when discussing sin. God has a list of laws and rules in His Book. As we talked this over, we talked about the freedom from the law we are given by the redemption Christ provides for us when we proclaim our faith in Him. "The law was given to us to lead us to Christ, that we might be justified by faith." We are all sinful and unable to keep the law. Does this mean the law is bad? The rules and laws in The Word were created for man's good and protection, not to punish us. When we do not follow the rules and laws---we suffer the consequences of our sin. So God---as any good parent---set down a set of rules for our own good. Yes, we are free from the law, but we are told to not use this freedom as an excuse to indulge in living in sinful behavior. If instead, we live by the Spirit, we will not pursue actions which are contrary to the nature of God. If we allow the Spirit to lead us, while we are not under the law, we will exhibit the fruit of the Spirit. THIS, My Friends, is a Complex---yet ---SIMPLE topic! Plant yourself in Galatians for a while and dive in to the beauty of God's redemption! Good point well made, Lulu. God gave us the Ten Commandments in order to protect us from the dangers of "doing our own thing". They were a set of guidelines; and we've spent years re-interpreting them to suit our own selfish lifestyles. Christ gave us the Commandment to love God and love each other. We've ignored that as well. It seems to me that humanity is intent on following its own way to destruction. Amen, Victor, and then we must suffer the consequences! There is danger in our rush to be "free" from the law!! Yes, Victor is a wise man!